Comfort JOBST ActiveWear is made with dri-release yarn, which feels like cotton and offers superior moisture management to help keep feet dry, cool and comfortable. It enhances wearing comfort and resists abrasion, and the seamless toe provides all-day wearing comfort. 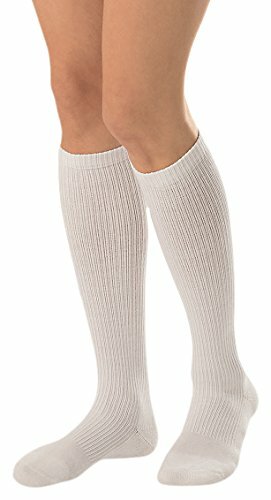 All-day comfort knee band keeps socks up without binding or pinching. Durable 360 degree cushioned foot with reinforced heel for enhanced wearing comfort and durability.